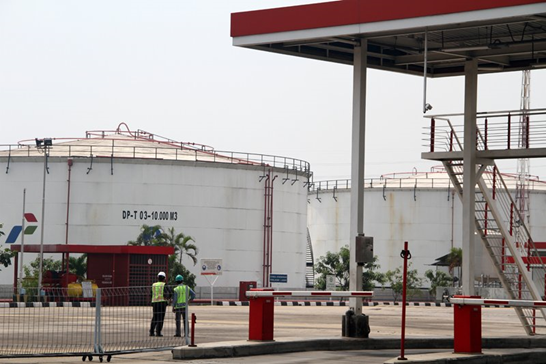 JAKARTA - PT Pertamina (Persero) is the only State-Owned Enterprise (SOE) in charge of providing, managing and distributing fuel oil (BBM) for the entire community. The government will continue to strengthen Pertamina into a world class oil company that can perform its functions as a state-owned enterprise and state duty as an extension of the Government's hands for policies of strategic value and a direct impact on the community. "The government wants Pertamina to become a world class National Oil Company that can stand on its own feet, that is our vision," said Deputy Minister of Energy and Mineral Resources (ESDM), Arcandra Tahar in Jakarta, Monday (23/7). Increasing Pertamina's contribution to national oil and gas production is part of the roadmap to raise Pertamina. Pertamina's current contribution of 23% will be increased to 39% in 2019 with the termination of oil and gas blocks terminated to Pertamina. "The government has awarded 12 oil and gas terminating blocks to Pertamina, including the Mahakam Block, ONWJ, Tengah, Attaka, East Kalimantan, North Sumatra Offshore, Sanga-sanga, Southeast Sumatra, Tuban and Ogan Komering.Lastly, Jambi Merang Block and Raja-Pendopo submitted in May 2018, "adds Arcandra. According to Pertamina's report, out of 10 oil and gas termination blocks other than Mahakam and ONWJ, Pertamina's estimated additional revenue of US $ 24 billion for the next 20 years. "It certainly can compensate for Pertamina's financial issues that are being discussed lately," said Head of Communications and Public Information Service Bureau of the Ministry of ESDM Agung Pribadi (25/7). Even to reduce Pertamina's financial burden, the Government has also proposed to increase diesel subsidy. "In a working meeting with Commission VII of the House of Representatives, ESDM together with the House of Representatives has agreed to increase subsidized diesel fuel this year to Rp 2,000 per liter, while in 2019 it will be Rp 2,500 per liter," Agung said. "The government must pay close attention to Pertamina and it is impossible to grant permission to extend Pertamina's oil and gas production, and increase the contribution of oil and gas to Pertamina to increase Pertamina's performance," said Agung. One of the terminating oil and gas blocks granted to Pertamina is the Jambi Merang block. In the 2019 termination block, Pertamina is committed to invest US $ 239 million or Rp 3.2 trillion. It is the biggest investment commitment so far. In the block, Pertamina also provides a signature bonus of US $ 17.3 million to the Government or approximately Rp 232 billion. It was also the greatest ever.